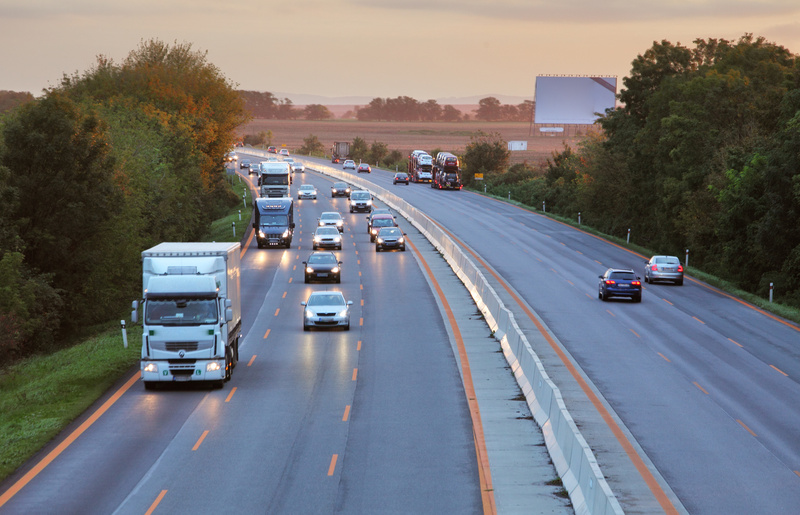 We all share the same stretch of road and highway – trucks included – and while most of us don’t drive eighteen wheelers, there are things we should know in order to stay safe. The most recent report by the National Highway Traffic Safety Administration (NHTSA) from 2012 showed a 4% increase in fatalities of large truck accidents from 2011, and 104,000 injury victims. With how fast-paced our society is, the amount of trucks on the road is only projected to increase. This presents an equal responsibility for drivers of all types to keep roadways safe, regardless of how nerve-racking it is to drive adjacent to an 18-wheeler. Truck drivers, despite what television and film archetypes portray, are highly trained and skilled individuals that have to take a written exam to become certified and receive a commercial driver’s license (CDL). Truckers also have restrictions on how long they can be on the road without a break, as well as how heavy of a truck they can drive until they prove they can maneuver the vehicle safely. According to the Florida Department of Highway Safety and Motor Vehicles, there are classification licenses for commercial motor vehicle drivers ranging from Class A to Class C. Class A, which requires the ability to operate vehicles over 26,000 pounds, has tests ranging from General Knowledge to Air Brake and Pre-Trip tests, as well as the CDL Road Test. In short, truckers know what they’re doing, but accidents do still happen. If a trucker is driving erratically and making you feel uncomfortable, feel free to contact Florida Highway Patrol (FHP) or other authorities and keep your distance. Of course, if you’re involved in an accident, make sure you contact an experienced truck accident attorney. What does this tell us? No matter how impatient you may be, watch where you’re going, and if a truck driver has tried four or five times to realign into a parking space, there is probably a reason why due to their training. While negligence can always occur on the trucker’s part, make sure you aren’t driving in “No-Zones,” where they have little to no visibility, or merging improperly into traffic. This will minimize the risk of getting involved in an accident with a truck driver. You always want to be sure to call the authorities, and paramedics if injuries need attending to, first, but still call an experienced attorney as soon as possible. This will avoid you having to deal with insurance companies or being pressured to sign something when you’re unaware of your rights. With trucker’s insurance there may be difficult, conglomerate auto insurance companies to contact. If you are injured, save as much information from the accident scene and medical appointments as you can, and call an attorney to see what you are entitled to.